The Medical Reserve Corps (MRC) is made up of community members with and without medical training, as well as public health professionals. Each individual possesses valuable skills that contribute to the day-to-day operations of the local public health department and during times of community need. The Central District Health Department’s Medical Reserve Corps program serves Ada, Boise, Elmore and Valley Counties. You can join the CDHD team and volunteer as frequently as you like or solely be available in the event of a public health emergency or disaster. Typically, MRC members contribute their time and talents during an emergency or throughout the year by participating in our preparedness training and exercises. Central District Health Department reserves the right to place volunteers where the need is greatest. We will make every attempt to place volunteers in area that capitalizes on their skills and abilities. 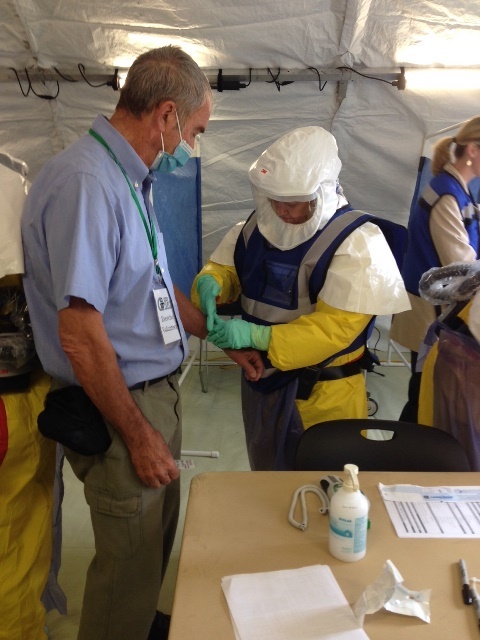 Becoming a Medical Reserve Corps Volunteer is easy, just visit www.volunteeridaho.org to register. You do not need to be a U.S. citizen to be part of the MRC.